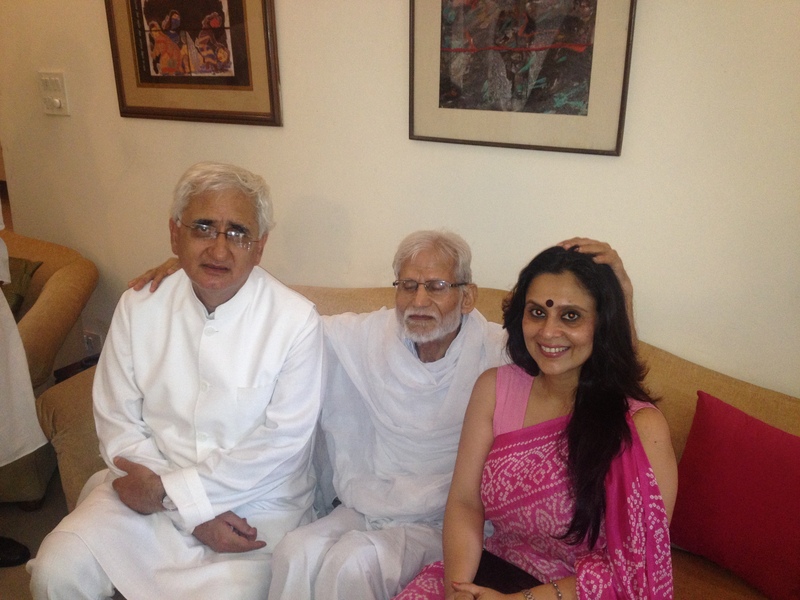 The bonus of Id came in the form of me meeting Swami Nityanand at Mr Salman Khurshidji’s home .The spirit of the festival buzzed in their home while Mrs Khurshid laid out a lavish spread .I reuqested their son to do this picture as this moment was memorable indeed.Seen in the picture are Mr Salman Khurshid,Swami Nityanandji,Kavita Ashok and Shri Kishore Gandhi . The feast at Mr Rehmans home was splendid indeed ! Also met Ambassadors of Bosnia and Congo enjoying Biryani and sewayian!A short visit to Haryana chief Minister Mr Hudda was a hushed affair because he was leaving for some place himself . 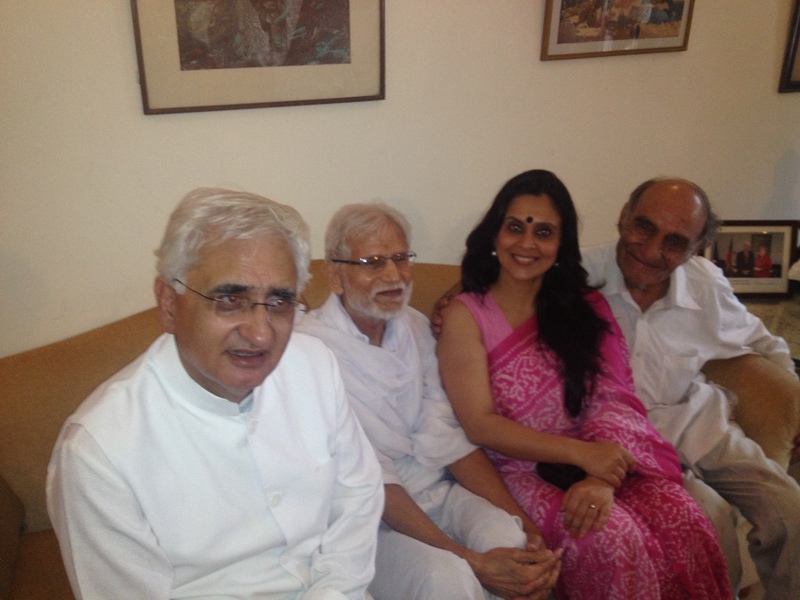 The high point was wishing the Vice president of India Mr Ansari a Very Mubarak Id as he was also visiting someone when I reached ,hence a telephonic conversation was all I could get ! I wish all a very peaceful time ahead !Id Mubarak !